Sylvia Utley has provided administrative support at Fults Commercial since its formation in 2008. She focuses her time on managing all aspects of our office. 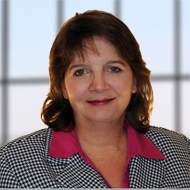 Her experience includes working with the Fults Team on Commercial Landlord, Tenant and Sale transactions. Sylvia's background includes administrative support to marketing, service, and financial companies. She brings multiple skills to Fults Commercial with her extensive background.